Experience. Over 12 years of writing, speaking, and training experience you can trust. Feather Communications, located near Eau Claire, Wisconsin, works with individuals to write forward-thinking, eye-catching, and market-appropriate resumes, cover letters, and LinkedIn profiles for today's marketplace. Since 2008, we have written thousands of resumes for a variety of industries, including nursing, sales, marketing, transportation, procurement, accounting, education, and beyond. Dr. Heather Rothbauer-Wanish has a BBA in Management from the University of Wisconsin-Eau Claire, an MBA from Lakeland University, and a Ph.D. in Organization and Management from Capella University. She has always enjoyed researching new topics, interviewing people, composing articles, developing copy and proofreading. 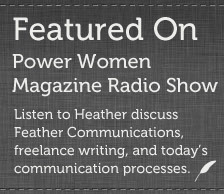 Feather Communications was founded to give individuals a professional option when creating resumes and cover letters for today's job market. Feather Communications strives to meet the needs of its clients while maintaining integrity in its communication pieces through concise, accurate and creative writing techniques. Eau Claire, Wisconsin - October 25, 2014 : Dr. Heather Rothbauer-Wanish, owner of Feather Communications, recently earned the Extraordinary Business Woman of the Year award from the Eau Claire Chapter of Polka Dot Powerhouse. The award was voted on by 120+ members of the Eau Claire Chapter. 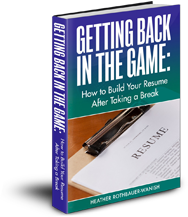 Heather Rothbauer-Wanish is 1 of only 11 certified résumé writers in the State of Wisconsin.